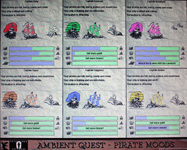 Ambient Quest Pirate Moods was designed by Mark Eyles and developed by Neil Dansey, Ruiying Wang and Andy Bain. Collect these supplies by holding your pirate card near the poster boards. 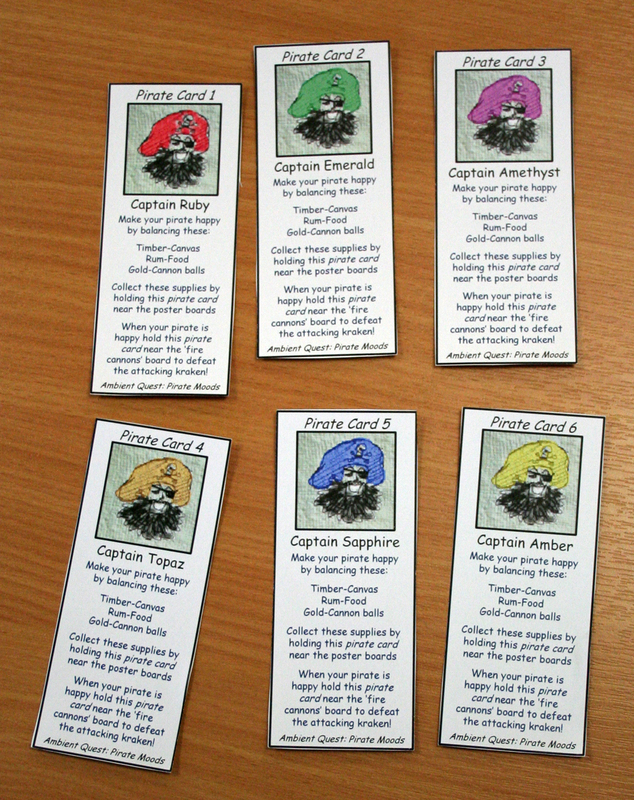 When your pirate is happy hold your pirate card near the ÃƒÆ’Ã‚Â¢ÃƒÂ¢Ã¢â‚¬Å¡Ã‚Â¬Ãƒâ€¹Ã…â€œfire cannonsÃƒÆ’Ã‚Â¢ÃƒÂ¢Ã¢â‚¬Å¡Ã‚Â¬ÃƒÂ¢Ã¢â‚¬Å¾Ã‚Â¢ board to defeat the attacking kraken! 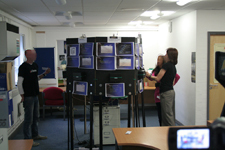 Ambient Quest Pirate Moods was first played at the University of Portsmouth on 11th December 2009. 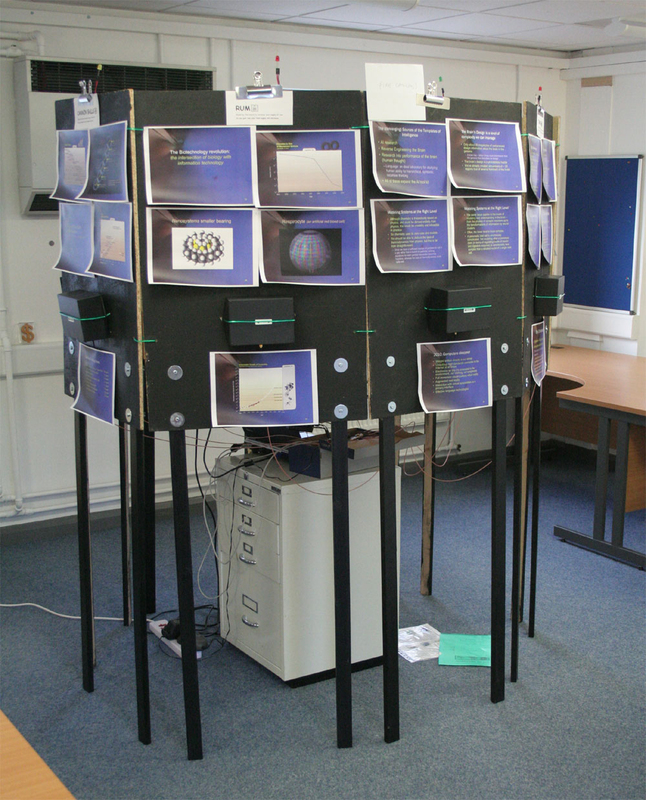 Please contact Mark Eyles with any thoughts or observations on Ambient Quest or ambient games. 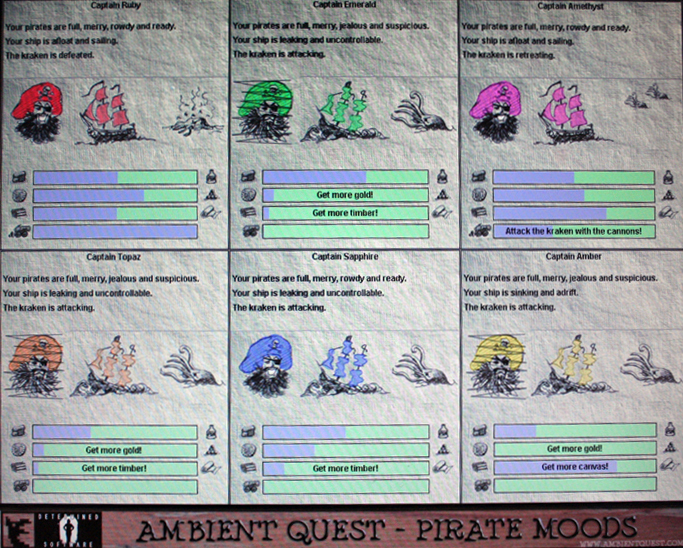 The Ambient Quest games were created primarily as a tool for academic research, though there seem to be possible future commercial applications for ambient games. 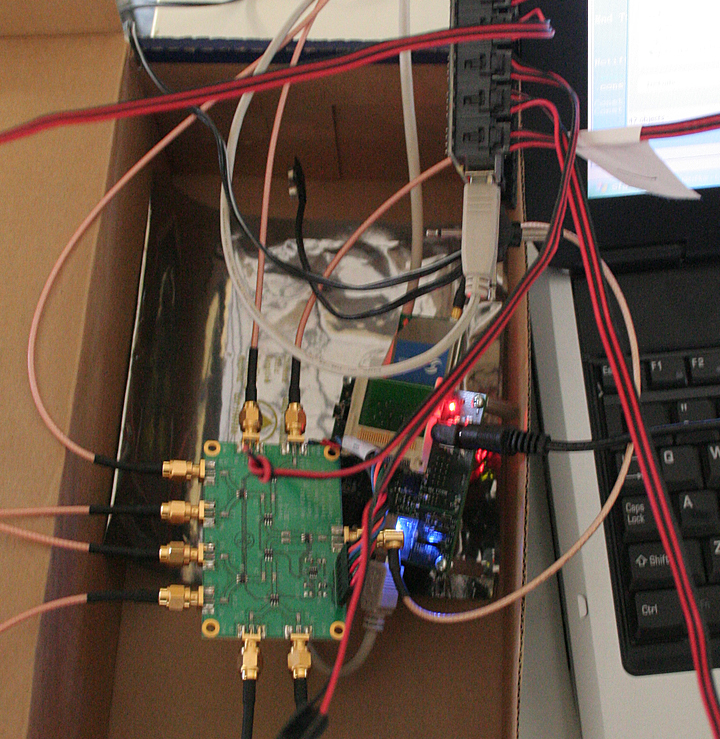 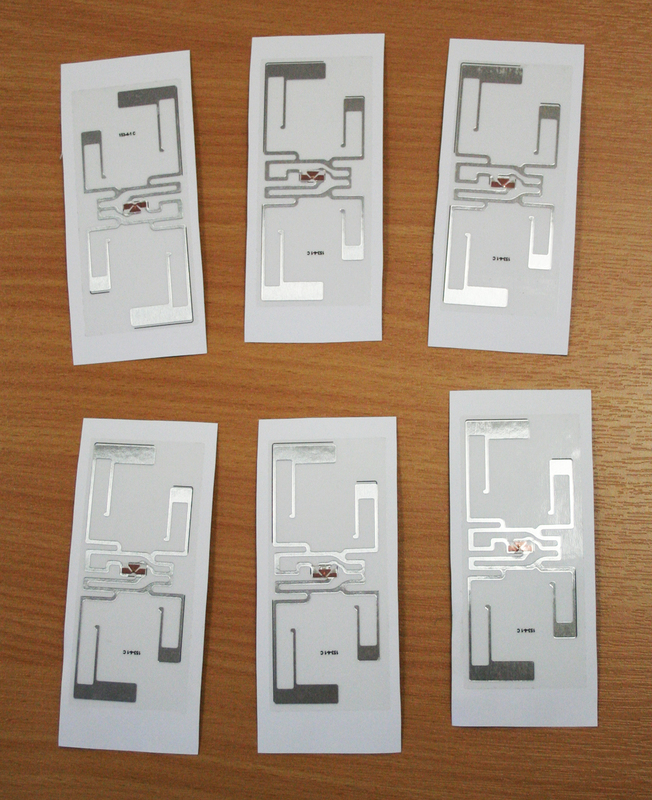 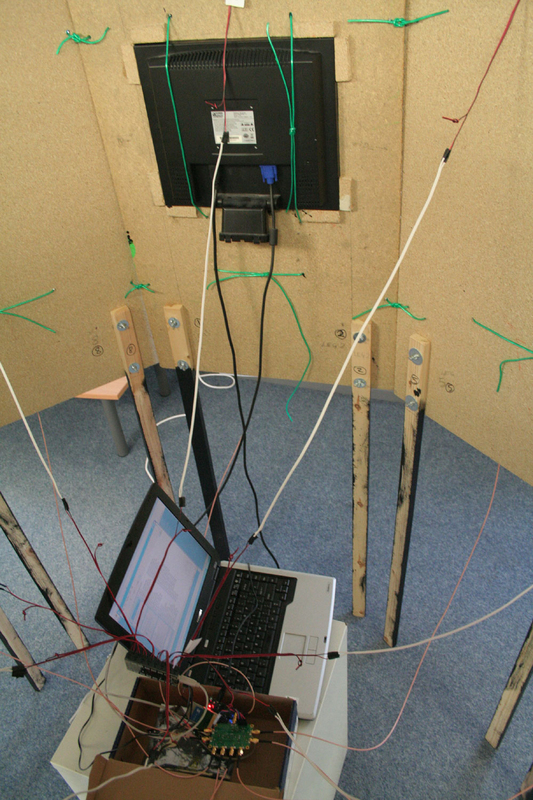 Research into ambient games is continuing at the University of Portsmouth. 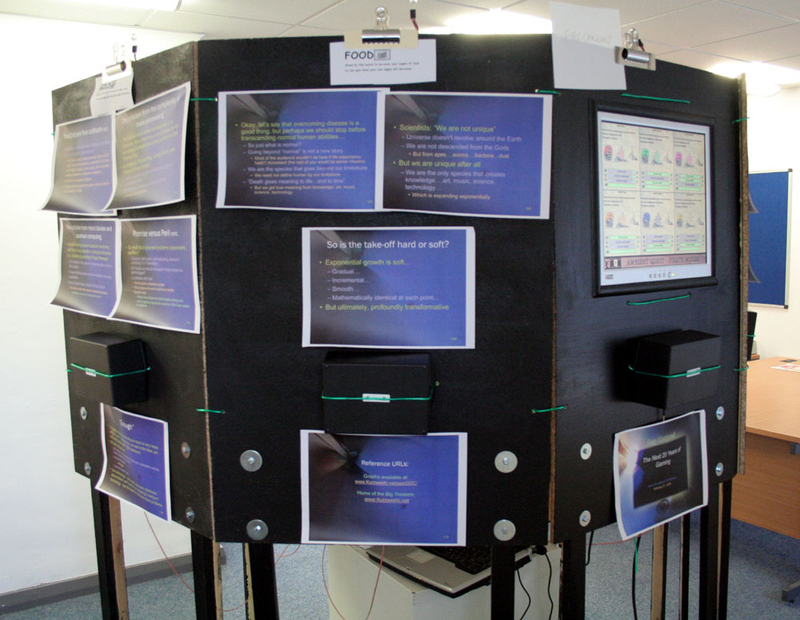 Mark is a Principal Lecturer in the School of Creative Technologies in the Faculty of Creative and Cultural Industries at the University of Portsmouth where he lectures on games. Before joining the university he spent 22 years working in the games industry, from 1981 to 2003.